Words: The Latin carols of Quem pastores laudavere and Nunc Angelorum gloria. et sol verus in tenebris illuxit. sine virili semine est natus rex. Voce pia dicite et plaudite. 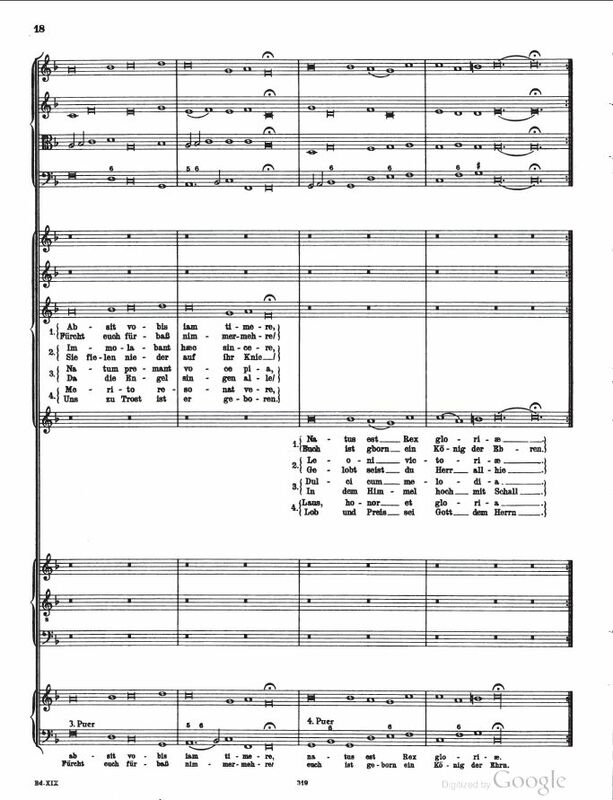 This very popular arrangement by Michael Praetorius is often sung by a single boy soprano alternating with a massed chorus. There are a number of variations on this arrangement. 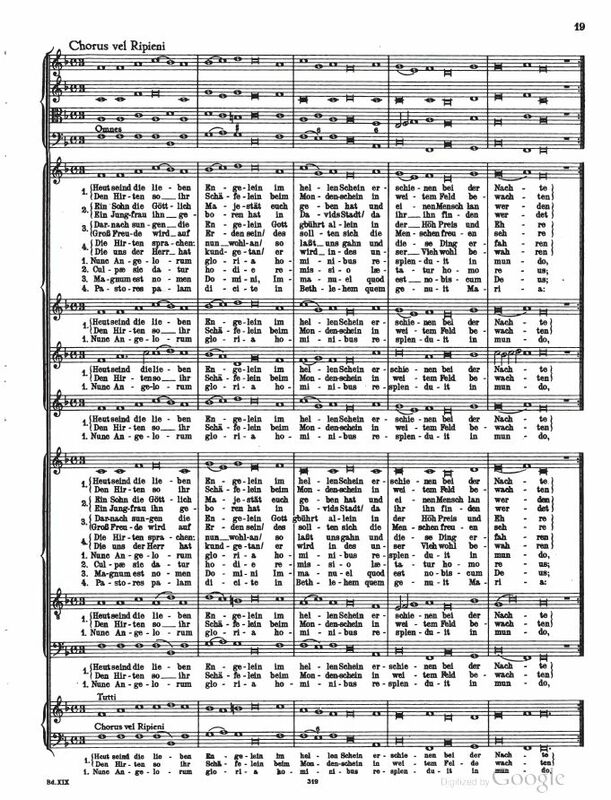 For example, four boys will be used, one at each corner of a church, each singing a single line of each of the four verses of Quem pastores laudavere, with the massed choirs singing the four verses of Nunc Angelorum gloria as a chorus (as above). In other cases, the boys may be placed in the loft above the congregation. 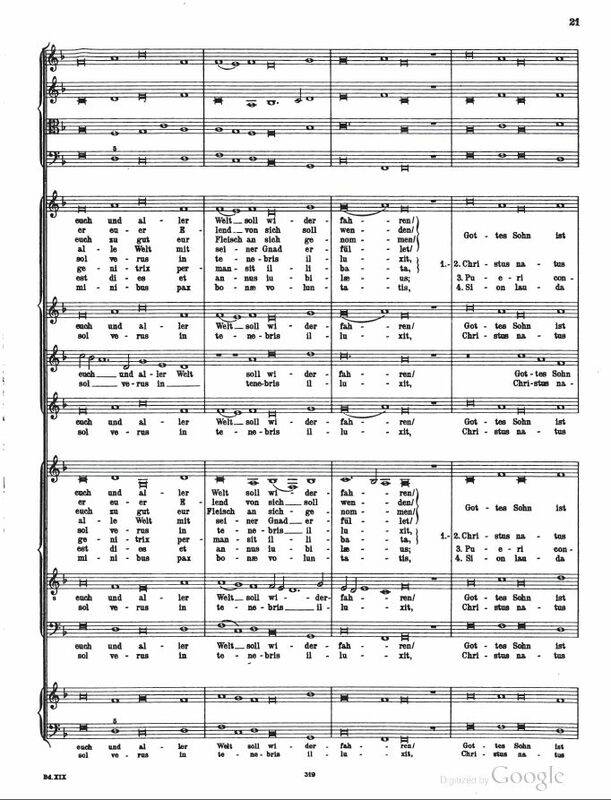 In some arrangements, only the first verse of Nunc Angelorum is used after each verse of Quem Pastores. 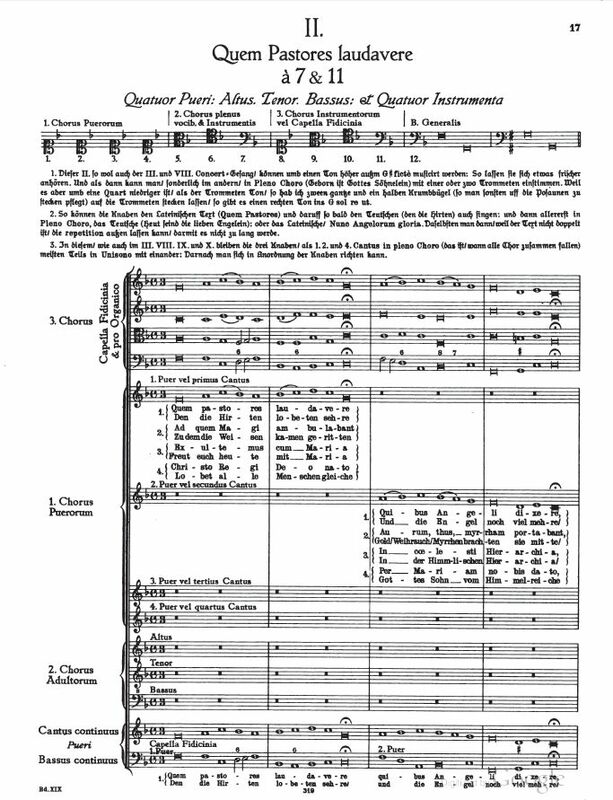 Praetorius prepared a separate arrangement of Quem Pastores laudavere in its liturgical use, which is found in Volume 5 of his nine-volume Musæ Sioniæ (1605–10). I am still seeking a copy of this volume (volumes 1 through 4 have been scanned, and are available at several sites). The Catholic and Lutheran churches use Quem Pastores as a processional during the Christmas-tide. 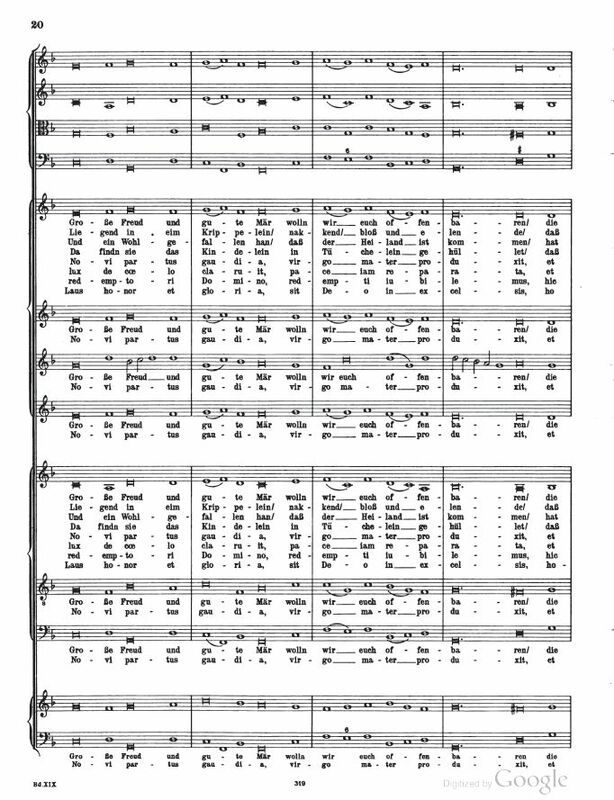 A side-by-side printing of Latin and literal English can be seen at "Saturday Chorale" website, "Praetorius: Quem Pastores Laudavere - Westminster Cathedral Choir" (Dec. 7, 2011). There is also a video on this web page of the performance of this carol by The Parley of Instruments, Westminster Cathedral Choir, David Hill (conductor). A PDF of the liner notes is also available. Sheet music of Michael Praetorius, “Quem Pastores laudavere,” Puericiniu, from Friedrich Blume, ed., Gesamtausgabe der musikalischen Werke: Puericiniu, Band 19 von Gesamtausgabe der musikalischen Werke, Michael Praetorius (Möseler, 1621), pp. 17—22. 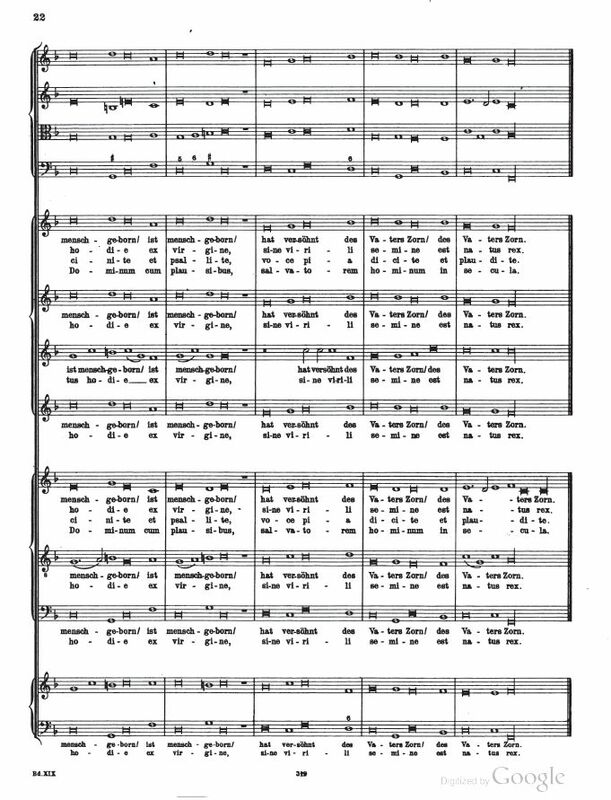 Praetorius' version includes four verses of "Quem Pastores laudavere" and four verses of "Nunc Angelorum gloria" as the chorus.